File, ceoltóir, scríbhneoir agus scoláire é Diarmuid Johnson. I gCardiff na Breataine Bige a rugadh é in 1965. Cuireadh oideachas air i nGaillimh idir 1970 agus 1989. 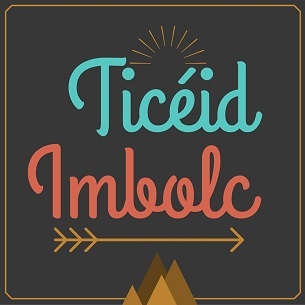 Tá céim B.A., M.A. agus Ph.D. sa Léann Ceilteach aige. Ó 1989 i leith tá blianta go leor caite aige ina léachtóir ollscoile in Éirinn, sa mBreatain Bhig, sa mBriotáin, sa nGearmáin agus sa bPolainn. Chaith sé cúig bliana le ceird na hiriseoireachta agus na heagarthóireachta i gConamara. Tá leabhra go leor scríofa aige i nGaeilge, Béarla, agus Breatnais. Ina measc sin tá Pen and Plough – Poets and Bards of 20th Century Ceredigion (Wales), saothar taighde faoi stair na tuaithe, Y Gwyddel, beathaisnéis i mBreatnais faoina óige i nGaillimh, agus Conaire Mór, athinseacht ar Togail Bruidne Da Derga, an leabhar a bhuaigh Gradam Uí Shúilleabháin 2017. Tá a chuid fliúiteadóireachta le cloisteáíl ar cheirníní éagsúla, ina measc sin Samhradh (Buda Musique, Páras 1993), agus Blodeugerdd – An Album of Welsh Music and Song, ceirnín ar bhuaigh an Independent Music Award for Best Traditional World Album i 2009. Sa chaint spéisiúil seo tugann Diarmuid léargas dúinn ar a chuid saothar féin, ar oibriú na healaíne, agus ar a chuid saothar atá le teacht! Tá Conaire Mór ar fáil anseo.